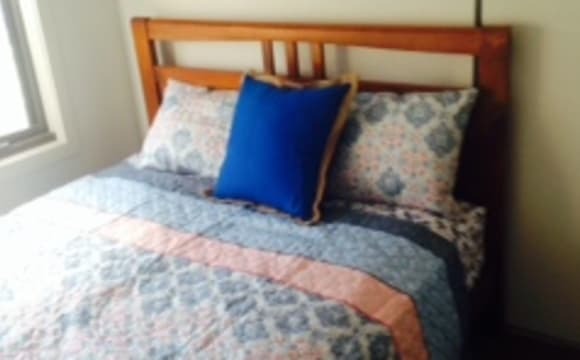 Looking for Couple for spacious Main bedroom (5m x 4m) and use of small room $1740 p/m plus bills. Attractive outside area and large lounge. 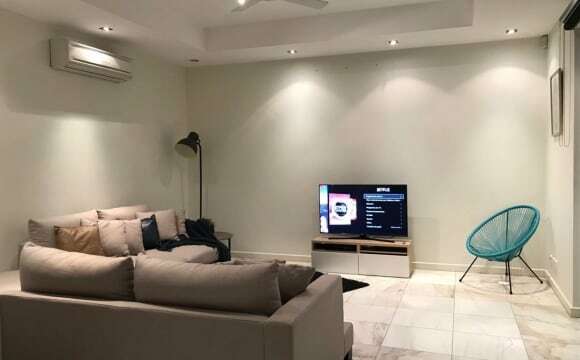 Apple TV, Netflix $3p/m, wifi w Unlimited Internet $20 p/month, super fast hot water, new bathroom, laundry with washer (dryer across road 30sec walk), back porch with couch, garage/bike storage and back yard with a fig tree, lemon tree and garden. You will need an oil heater for bedroom in winter. It is conveniently located within short walking distances to Dennis Rail Station (5 mins), 250/251 Bus (20 sec), Station Street's cafes and grocery (7 mins) High Street's cafes and bars (15 mins). It's a perfect base to explore Melbourne and its inner-city neighbourhoods. You'll be sharing the house with Oakley 40 (kiwi/teacher), gone by 7am, home around 4:30pm weekdays, I also play on cruise ships and am not in Melbourne for 3 months of the year. It is a great section and I am passionate about music. I am looking for a clean, considerate and respectful couple to share the house with. I will be in Vietnam until Fri 19th April when you can view the property so best contact via this website. The sunniest room in our converted warehouse is up for grabs ASAP! The room is well sized, well lit and sunny, with a mid-sized hanging wardrobe, it’s own aircon/heating as well as a balcony that looks onto the street! 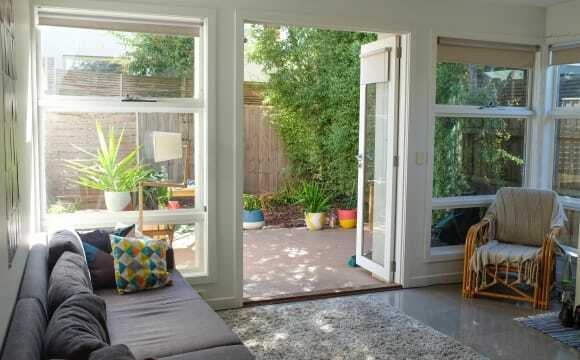 The house has huge open plan living spaces and a well sized lovely green sunny terrace garden. It’s on Eastment Street, a 30 second walk from the social club as well as the 86 tram on High Street. Northcote station and the 508 bus are only a 6 minute walk away. The house is minutes away from a treasure trove of bars, restaurants, cafes, strip shops and three supermarkets! Water is free, electricity we pay in advance which works out to be about $25ish, and gas is around $30 every few months. NBN is unlimited, $17 and very fast. Although this house and location are great, the house itself hasn't had the best sound proofing. This room does shares a thin wall with the one next to it, so we looking for applicants who are considerate with noise. The room is $685.50 per month and we aren't accepting couples. If you’re interested please send me a message telling us about yourself and we’ll organise for you to come have a look at the house. 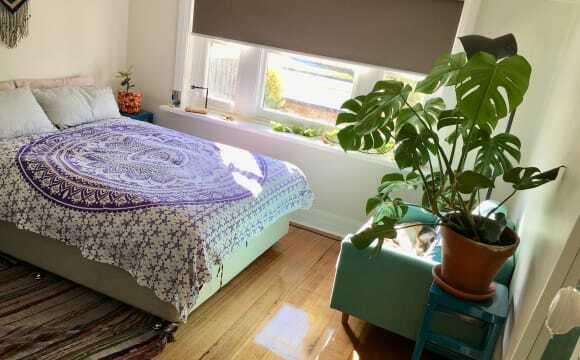 About the house: We have a room available in our 3 bedroom sharehouse in Northcote. It’s the front room of the house and is very spacious, with beautiful light, and built in wardrobes. The room comes unfurnished and you can easily fit in a queen size bed, chairs and desk etc. The house is fully equipped except the washing machine that might be leaving us as well. There is a separate shower and toilet which is awesome and the kitchen is great with a lot of storage. We also have a spacious, sunny garden with a lemon tree!! And lot’s of space to dry washing. The location is truly the best you can get on this side of town. Croxton station and the 86 tram are a 3 min walk away, the 11 tram is a 10 min walk plus everything that High street can offer is all nearby. On-street parking available. Move in date is as soon as possible! The boring stuff: Everyone goes on the lease which will include some paperwork to be done as we are doing a lease renewal soon Rent is $944 per month, not included bills (Internet is $20 each, gas electricity and water is standard) Bond is $916 We are looking for females only. Hoping to hear from you soon! The house was renovated just before we moved in 6 months ago, so it’s all fresh and nice. Wooden floors throughout. The available bedroom has its own reverse-cycle heating/cooling unit and catches the morning sun &amp; has big built-in wardrobes. The house has no lounge room so the main communal space is the kitchen /dining room. We have a little extra room just for yoga / meditation / reading, and an undercover area with couch around the back. There’s one central bathroom plus an extra toilet near the laundry. Out the back is a large vegetable garden and shed with heaps of storage space. New security system inbuilt - against burglary etc. We both like a generally calm, cruisy home. We leave our shoes at the door, keep communal areas tidy, and only use natural household products. We have a relaxed easy consideration towards each other and are looking for someone who will do the same. We grow quite a lot of food in the garden. We have a big fridge which is awesome, and we eat mostly fruit and veg and healthy foods. We do our dishes as we go, and keep the kitchen clean. We sometimes share meals and are up for a friendly chat when we cross paths. Mostly communicate via wattsap about bills and other house stuff. All bills split equally. The nearest tramlines are the 11 and the 96 (we are near the first stop on the 96, so you always get a seat on the tram even in peak hour :) It’s a 15 min walk to Croxton train station. Also close to CERES, a few cute cafes, merri creek bike trail and nature reserves and not far from High Street shops. We have a nice garden to chill and the house is spacious. Best thing is Rainy ;) We respect each others privacy but also enjoy to hang out in the kitchen or garden together for tee/coffee or sometime cook together. So close to the best of High Street, Northcote Station and the 86 tram. The street is tree-lined and surrounded by rich people houses. It’s really pretty. There is aircon and good natural light in the property, plus a very long private balcony. Your room has an amazing view, looking out east, and comes with BIRs. Note that I’m currently in the process of organising NBN (yay) but the installation is yet to happen (boo). Bond is $1260. ***Please note couples are $350 per week as our listing is all inclusive*** property is available from the 30th of April We have a large beautiful home, the room available is of large size with a large shared bathroom. We have, Netflix, Stan, internet and all bills included for piece of mind and no hidden extras. 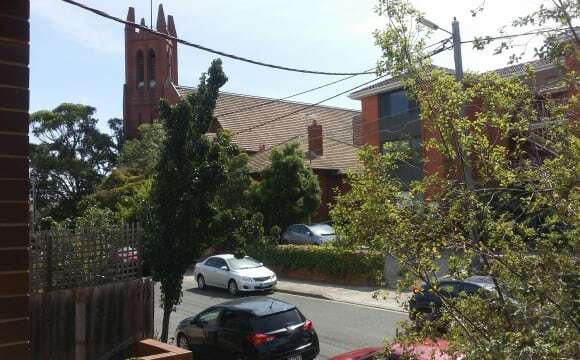 The house is located in the suburb of Northcote about a 10 minute walk from Northcote Plaza and public transport. There is plenty of on street parking available as well. The house is a two story town house with high ceilings, large open plan living downstairs and bedrooms upstairs, on the ground floor of the house is a kitchen, large dinning room, large lounge room and a toilet. Outside there are two entertainment areas. On the second level there are three large bedrooms and two bathrooms. 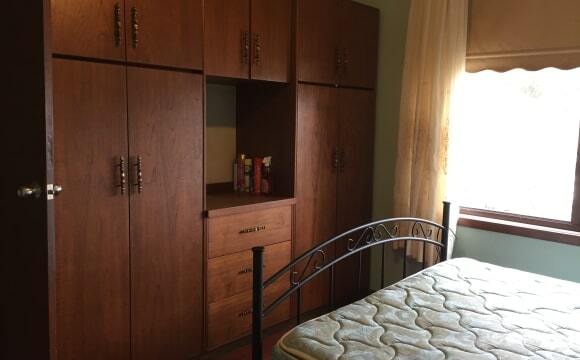 The bed room that is available is large with build in wardrobes, Heating and cooling. The bathroom is shared with one person and is large with a shower, toilet and basin/storage. Outstanding well presented two storey property ,fully furnished close to Shops Restaurants , Park, Gym /Swimming Pool ,and very close to Trams, buses and trains. Excellent one room standalone house perfect for someone suited to a place of their own. 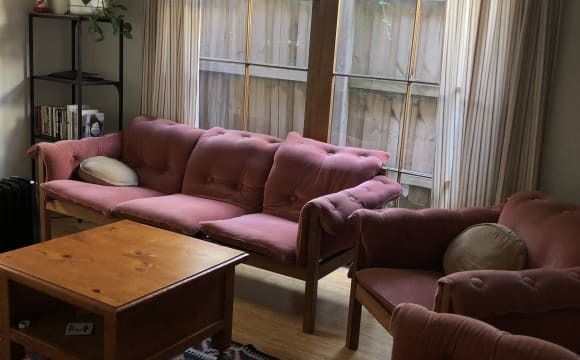 Preferably looking for a student, as the house is situated by short walks from buses, trams, trains, shops and a lovely local park connecting you to school or study near by. The house is furnished and cosy. You will enjoy off-street parking in this private premises situated right near a park. The house has also recently been connected to NBN. Please reach out if you are interested! Available now. New kitchen includes large microwave, two stove tops, convection oven, clean 215ltr fridge and ample storage. New crockery and cutlery also provided. Your own bathroom (with great shower), living room with leather couch and 40’ Tv (with Apple TV and free Netflix! ), and new king-single bed (comfy). Quiet location. Northcote is a great suburb to live and this is a great place to make home. We are very easy going and friendly. 350m (6min walk) to train, 17min trip to City. 10min walk to High st tram. 5min walk to StGeorges Rd tram. 12min walk to Northcote plaza and High st shops. Unlimited fast Wifi and table with chairs.